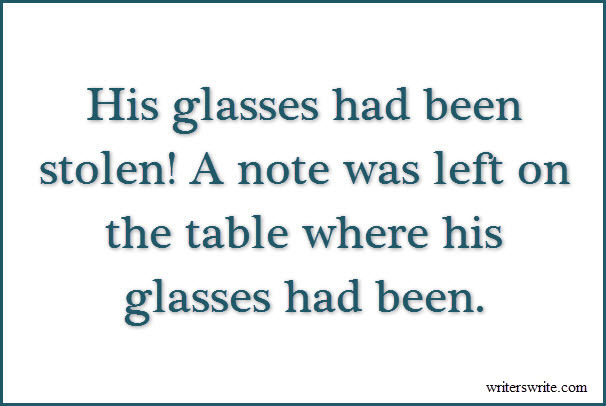 "His glasses had been stolen! A note was left on the table where his glasses had been." Write a story where an item of seemingly little value is stolen and a ransom note is left. This actually happened to author Jonathan Franzen when his glasses were stolen at a book launch party.